GENSET: Kohler 9 Kva with remote start and sound shield. Sunrunner's big 4800 is all about lifestyle, comfort and space. She's a big boat designed for Aussies, the flagship Sunrunner is a sportscruiser built for comfortable cruising. Above the waterline her shoulders are broad ; below decks is headroom high enough for tall people; and all over is loads of deck and floor space, especially in key areas like bathrooms. Principal dimensions are 14.93m (49ft) length overall, 4.29m (14ft 2in) across the beam, and 3.74m (12ft 3in) from keel to windscreen. The terrific hull depth leads to headroom of about 2.08m (6ft 8in) from bow to stern, not to mention a giant engine room with lots of space for the twin high end 2 x Volvo D12 - 775 hp engines. Underway, the 4800 struts about with a big-boat air. Whichever way you look at it, this boat is certainly built to go places. You can decamp for days, nights, weekends... Even entire weeks on the water. Fuel capacity of 2000lt and mod-cons like a dishwasher will see to that. 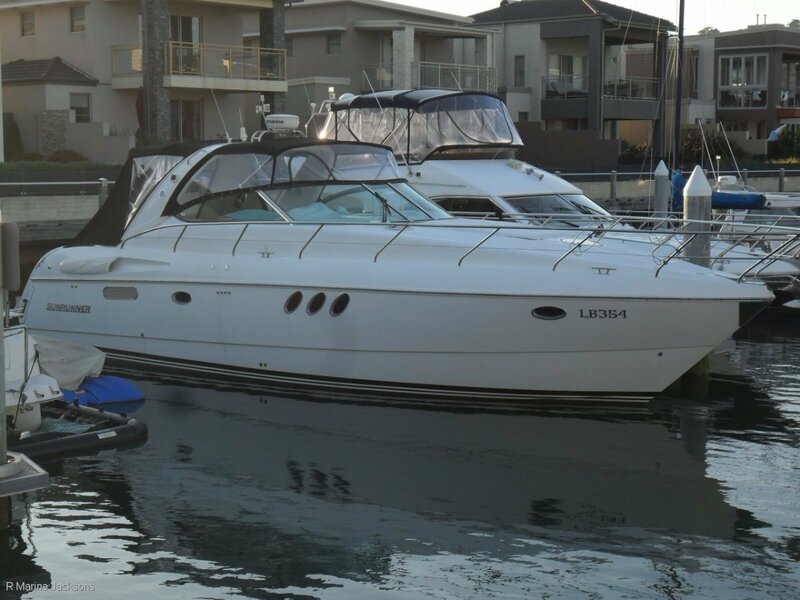 This boat is priced well below similar boats as the vendor wants it SOLD and therefore it is marketed at a realistic price. If this is the sort of boat you are after, then call us today for an inspection as viewing this boat will not disappoint. Be quick as this will not last. For further details or to arrange an inspection please call.